Brake pads are invariably provided with slots to aid cooling. Electroplated Diamond slitting saws from 50 mm dia to 400 mm dia with required thickness of continuous rim/segmented type can be supplied with required bore. Diamond wheels do not require dressing like conventional abrasive grinding wheels. Brake pads are invariably provided with slots to aid cooling. Electroplated Diamond slitting saws from 50 mm dia to 600 mm dia with required thickness of continuous rim/segmented type can be supplied with required bore. Diamond wheels do not require dressing like conventional abrasive grinding wheels. We are offering Diamond Cutter to our client. 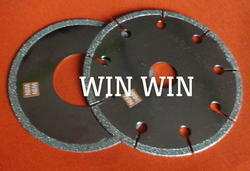 We are offering Diamond Slitting Saws to our client. We are a renowned manufacturer supplier of industrial Diamond Cutoff wheels that are largely appreciated for their excellent features. We are offering Diamond Wheels to our client. 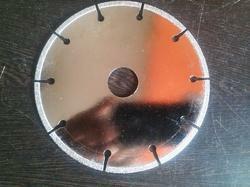 We are offering Diamond Slitting Saw to our client. 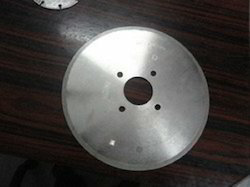 We are offering Diamond Slitting Wheels to our client. 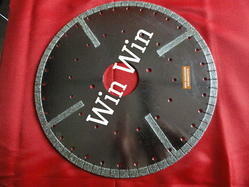 We are offering Diamond Cutting Saws to our client.